A British-built spacecraft is set to blast off from Earth bound for Mercury, the scorching planet closest to the sun. 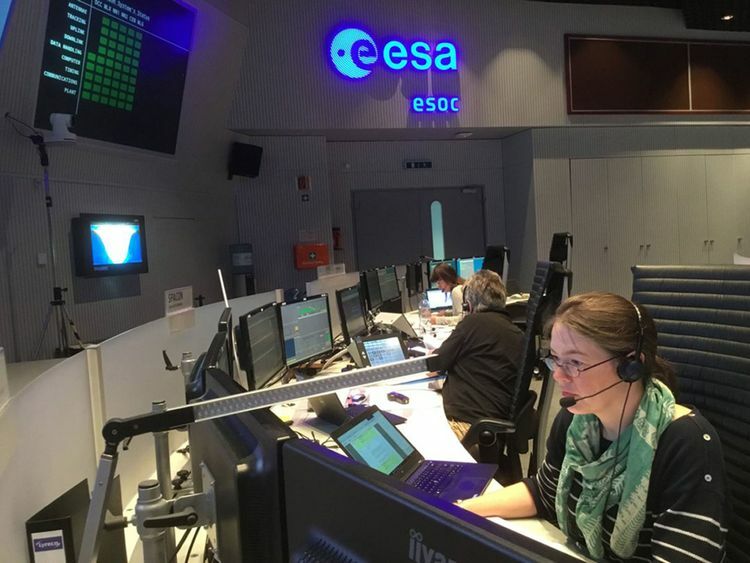 BepiColombo, the European Space Agency’s (Esa) first mission to Mercury, will send two probes to explore the planet where surface temperatures reach 450C. 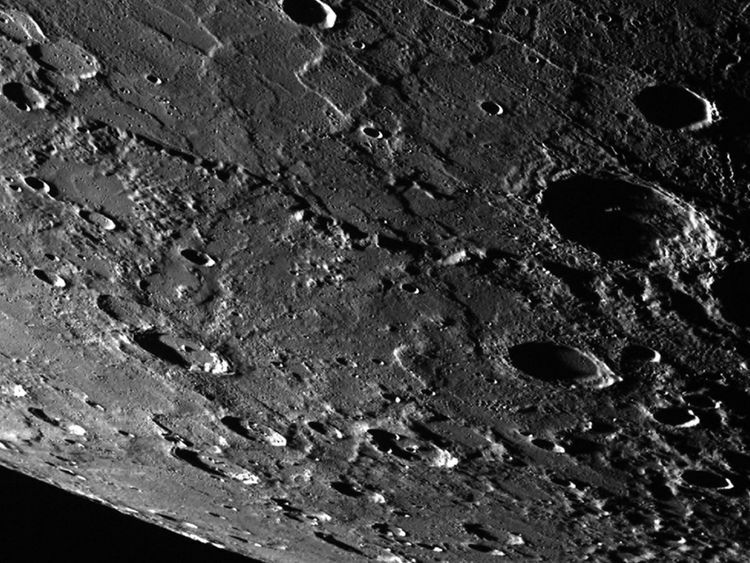 The spacecraft will then deploy the Mercury Planetary Orbiter (MPO), built by satellite-maker Airbus Space and Defence at its assembly centre in Stevenage, Herts, to study Mercury’s surface and composition. The second probe, the Japanese Mercury Magnetospheric Orbiter (MMO), constructed in Japan, will focus on the electromagnetic environment surrounding the planet. A key instrument on the MPO, the Mercury Imaging X-ray Spectrometer (Mixs), was developed and built at Leicester University. The 13kg (28lb) metre-long device consists of two X-ray telescopes, one designed to capture images of the surface and the other to analyse its composition. Mercury is bombarded by high energy sub-atomic particles from the sun, causing the surface to “fluoresce” and emit X-rays. Analysing the rays provides information about what the planet is made of. Mixs scientist Professor Emma Bunce said: “We want to understand how the solar system works and how it was formed. 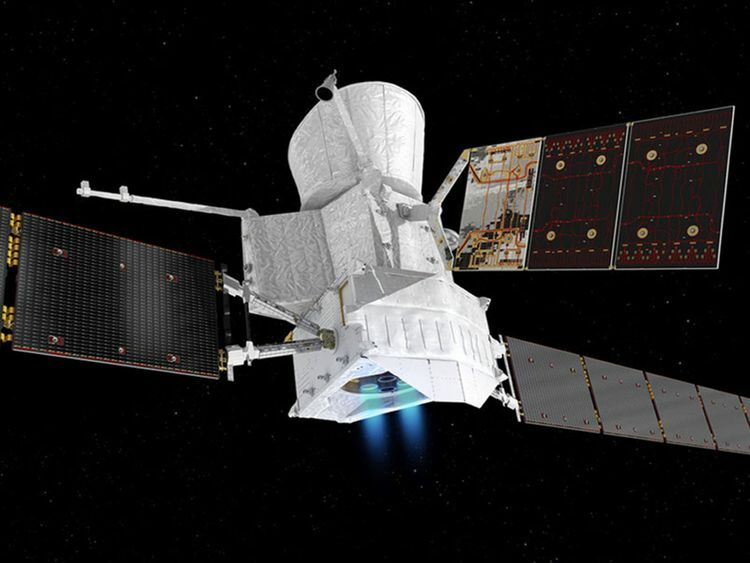 Unlike any other interplanetary spacecraft in history, BepiColombo carries a futuristic ion electric propulsion drive, also designed and built in the UK. Four ion engines supplied by British defence and technology company QinetiQ have been fitted to the craft’s power unit, the Mercury Transfer Module (MTM). They work by “ionising” inert xenon gas – knocking an electron off the gas atoms to give them a positive charge. The resulting “plasma” is attracted by electrostatic forces to a grid with an opposite negative charge and fired out of the thruster at 90,000mph. Unusually, the spacecraft will use energy not to speed up but to put the brakes on as it “falls” towards the sun. It will achieve this both by firing the ion thrusters in the direction of travel, and by means of a complex series of “gravity-assist” fly-bys past Earth, Venus and Mercury. Dr Jerry Bolter, project manager at Airbus Defence and Space where the MTM was assembled, said: “We recognised very early on that for BepiColumbo to do what we wanted it to do and get from here to Mercury we needed to have a very efficient propulsion system. If we relied on chemical propulsion then we’d need 17 tonnes of propellant.